Welcome to the NC Demo Blog Hop for October. I just love our theme. When you buy a stamp set or bundle, you want to be able to use it several ways. You are really making an investment. You want to spend your hard earned money well. Today we are showing at least 3 ways that a bundle can be used. You may have just come from Anita's blog. If so, you already have great ideas! 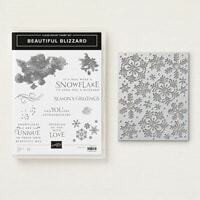 I'll be showcasing the Beautiful Blizzard bundle found on page 39 of the Holiday catalog. There are already about 5 ways to use this bundle on that page. I have more. Here, we actually have 3 cards and a little 3D item. This card has a base of Night of Navy 5 1/2 x 8 1/2 and folded at 4 1/4. The Whisper White layer is 4 x 5 1/4. Center the Blizzard Thinlits on this layer and run through the Big Shot. Run it through several times. Glue this to the base. 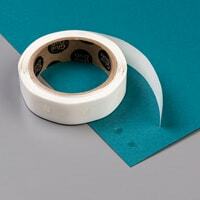 A really easy way to do this would be to use the Multipurpose Adhesive Sheets. 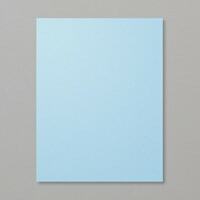 Now run the Blizzard Thinlits through with a sheet of Balmy Blue card stock. Take some of the snowflakes and add them to the white layer. Now they are inset. Again, the adhesive sheets would really make this fast and easy. 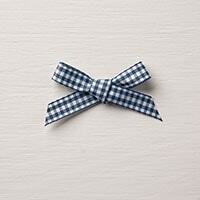 Run a length of the Night of Navy Gingham Ribbon around the card. You'll hide the ends with the oval. 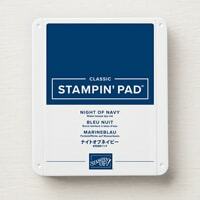 Stamp the saying on Whisper White in navy ink and cut out with the Stitched Shapes oval. Add the saying with dimensionals. Add a bow to the side of the oval with a glue dot. 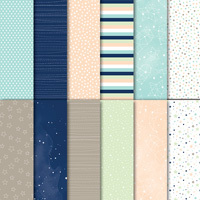 I love the Night of Navy Gingham Ribbon. I use it again in the next project! The base is Night of Navy. There is a Whisper White layer that is 3 3/4 x 5. The Balmy Blue layer is 3 5/8 x 4 7/8. 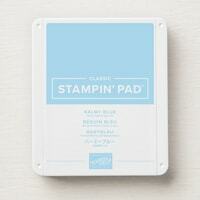 Using the new Big Shot Embossing Mats, run the blue layer through with the Blizzard Thinlits. 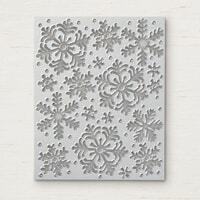 The embossing mat does not cut, but embosses the design on your paper. Now you have another use for the Blizzard Thinlits. Try the mats if you haven't already. It will double the use of your thinlits! Whisper White snowflakes are added and the Night of Navy Gingham Ribbon. 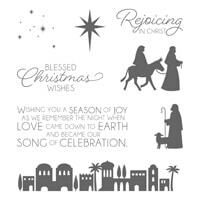 The saying for this card is from the Night of Bethlehem stamp set on page 99 of the annual catalog. 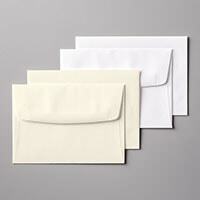 This card uses the Very Vanilla Note Cards & Envelopes. I love the note cards and use them a lot. In fact I made about 30 of these cards when at the beach recently. I don't usually mix Very Vanilla and Whisper White, but I think it works here. For this card, I stamped the background. I started with the largest stamp and used Balmy Blue. Stamp off for this one. Next I added a few of the swirls in Balmy Blue. I then added snowflakes in Balmy Blue and in Night of Navy. Add several snowflakes in Whisper White. 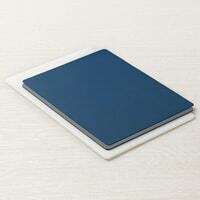 Again, I'll mention the Multipurpose Adhesive Sheets. They will make your snowflakes into stickers. 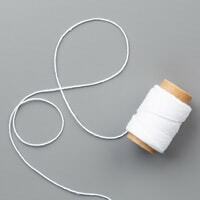 Tie around the card with the Whisper White Solid Baker's Twine. Add the saying with dimensionals, and a bow with glue dots. I tend to overthink things, so I wondered if three different cards was enough. I decided to add a super quick treat holder. I'm keeping with my theme of blues. This treat holder was made from a 6 x 6 piece of paper from the Twinkle, Twinkle Designer Series Paper. This blue is actually Pool Party, but it works. I know you have seen these holders, but just in case you haven't search for Stampin' Up! 6 x 6 treat holder on Pinterest. 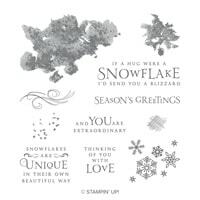 Just add the twine, snowflakes, and a saying from the Beautiful Blizzard stamp set. I don't have a treat in here yet, so I added a snowman from the Spirited Snowmen stamp set. Jo Anne Hewins - You are here. My Spirited Snowmen Class To Go is really cute. 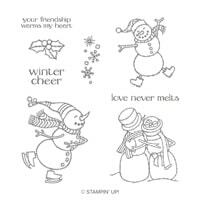 View details at Download Spirited Snowmen Class to Go Options. Wow! Fabulous post and amazing cards as always! Thank you for sharing! Jo Anne, I love your cards. The blues you choose really stand out. Great job. Thanks so much, Tracie. And thanks for getting everything together! Thanks,Frances. Missed you this time! Sign up to receive my weekly newsletter! Jo Anne Hewins, Independent Stampin' Up! Demonstrator, I am responsible for its content. Stampin' Up! does not endorse the use of or contents of the classes, services, or non-Stampin' Up! products I may offer here.